For some, climate change is a pseudo phenomenon created for this or that reason. For others, it is a serious phenomenon that is occurring on our planet with the potential to change our ecosystem and everything that lives in it. Which one of the above do you believe? It doesn’t matter because you can just trust your gutters. Why? Because gutters don’t lie. They show you the situation simply as it is. Let us shine some light on this bold statement. Here is how climate change affects your gutters, both directly and indirectly. All jokes aside, climate change is a real thing. One of the things it affects is the water cycle. This is why we can see many geo zones experiencing both extreme droughts and incredibly heavy rains. The changes in temperature affect precipitation, thus affecting the water cycle continuously. As the global temperature rises so does the water vapor concentration. This is why the type and degree of cloud formations and patterns are changing. Some locations are hit by completely new precipitation patterns. The excessive rain forms new flow patterns both on and under the ground. All that water that evaporated from lakes, rivers, seas, and oceans has to come down eventually. In fact, highly vapor-saturated air means increased chances of heavy rainfall. This is how climate change indirectly affects your gutters. Rain downpours are the more direct approach. Here is how it reflects on your gutters. Water is known for its power. It can move ground and rock. It can also damage your gutters, especially if the downpour is ferocious. 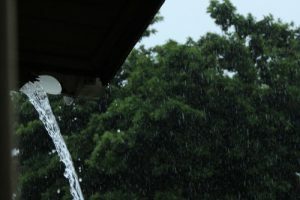 Generally speaking, downpours that are the result of climate change can affect your gutters in three ways. First, not all gutters are made to handle the same capacity of water. Some handle the increased capacity of water better than others. The condition of your gutters also affects this capacity. Is there anything that you can do? You can consult an expert to see where will your gutter system benefit the most from upsizing. If this is not possible, you might have to replace your gutters entirely. 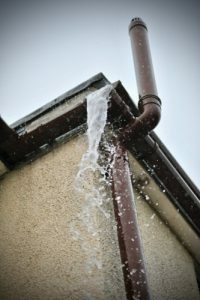 As a result, you will have water all over the place pouring over the edge of the gutter. This can damage your walls, foundations, base ment, and even cause physical damage to the gutters if the downpour is that heavy. 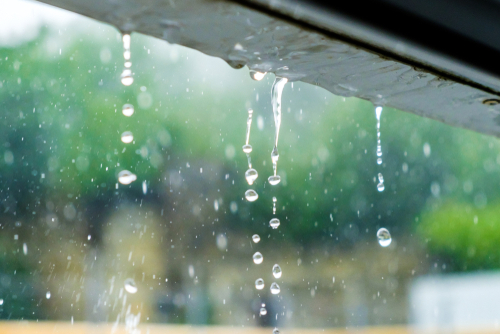 Downpours caused by climate change can also help you identify weak spots in your gutter system. For instance, an overflow near the downspout means that it is clogged. On the other hand, if the gutter is overflowing, it means that don’t have enough downspouts. Hopefully, this answers your question. As you can see, climate changes and heavy rainfalls do affect your gutters in multiple ways. The good thing about it is that you can combat the incoming storms with regular gutter maintenance and just a few tune-ups and fixes. For other questions or to arrange gutter cleaning or repair, contact us today!